In the modern world, we are surrounded by countless logos, symbols, and graphs that make up our everyday life. No matter where we look, willingly or unwillingly, we find ourselves immersed in a deep layer of information that is in turn filled with secret symbols and eerie meanings. 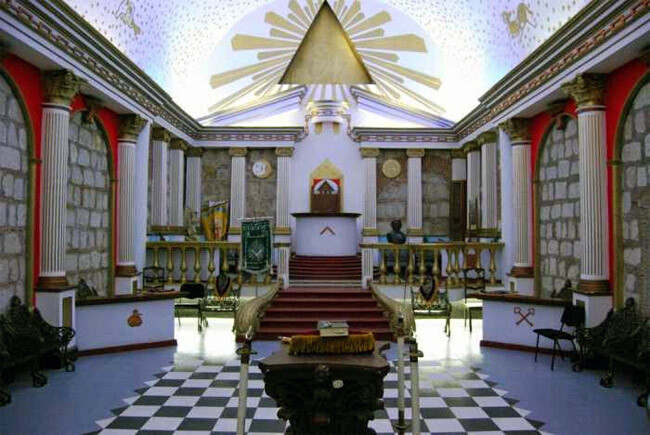 And while ancient societies such as the Illuminati, Masons, etc date back to more ancient times, in the century of communications, icons and logos that we see every day on our screens seem to be paying a subtle tribute to a few of such secret society. You can’t help but see the similarity. It takes a while to notice the mystery hidden in symbols we see every day, but once you spot it, it becomes obvious that we live in a world of secrecy and mystery. One of the fundamental characteristics of Freemasonry is the use of the symbols as a channel of communication. Beyond its immediate and obvious meaning, simple images become symbols carrying a connection between man and the principle they represent and from which they originate. Similarly, companies that dominate the market resort to a similar philosophy when designing their logos or icons. Next, we will take a look at some images associated with three of the most dominant companies in the technological world and its equivalent or possible masonic reference. Facebook is without a doubt one of the most famous social networks in the world, if not the most famous of them all. Lately, it has also become the most controversial due to its privacy policies, and the leaking of personal information to third parties for commercial and political purposes. Facebook’s logo is a letter “f” placed inside a blue square. One could well say that it is not a very thoughtful logo and it is rather simplistic or minimalist. I must admit however that minimalism is sometimes the best way to go. However, the position of the letter, off-center, and the fact that it was written in minuscule may have a meaning that not many are aware of. 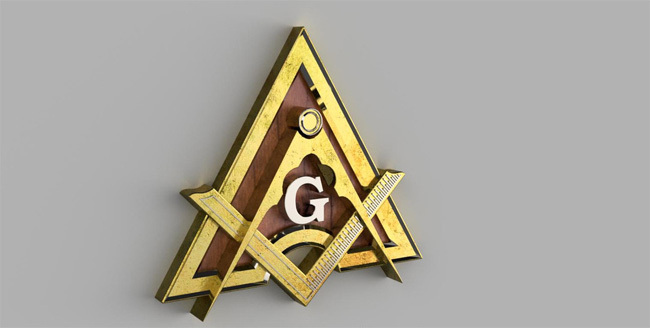 The mysterious Facebook logo and the company itself may be paying tribute to a mason symbol within the lodges: the Two Ball Cane, aka Tubal Cain. Notice the wicked similarity? Scary right? But Facebook isn’t the only symbols embedded in secrecy as on a daily basis, we come across many more such symbols. Let’s take a peek at Gmail, the famous mail platform. Google’s email service is probably the most used in the world. Obviously, M stands for Mail, what’s the mystery there? 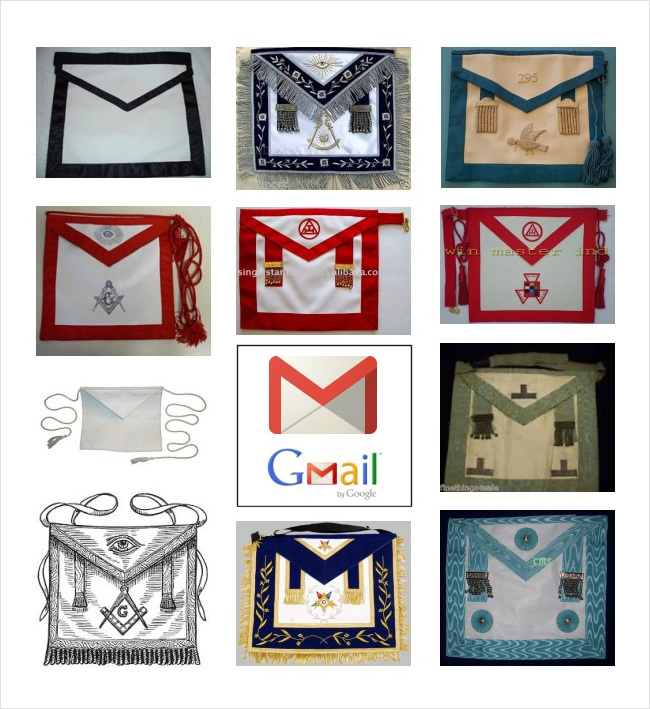 Gmail’s logo has a stunning similarity with the classic masonic apron, a piece of cloth that is fastened to the body at waist height by means of a rope or ribbon. 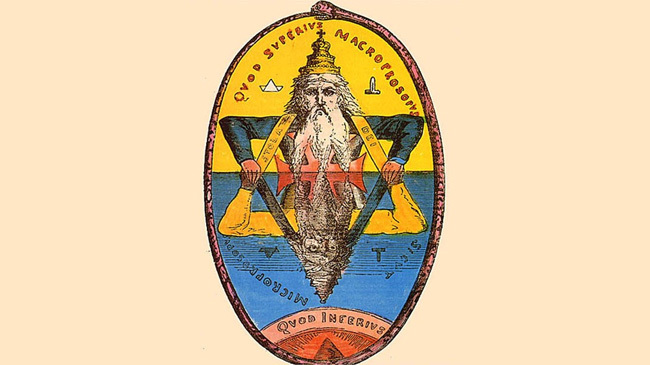 The Masonic Apron is steeped in spiritual and mystical meanings. If we take a look at Genesis 3:7 we read that Adam and Even made aprons of fig leaves to hide that which they were most ashamed of, the genital area of the body. The earliest representations of the Freemason’s Apron are seen on the engraved portrait of Antony Sayer, the first G.M. of the modern Craft. (1717), and on the frontispiece illustration of Anderson’s first Book of Constitutions (1723). 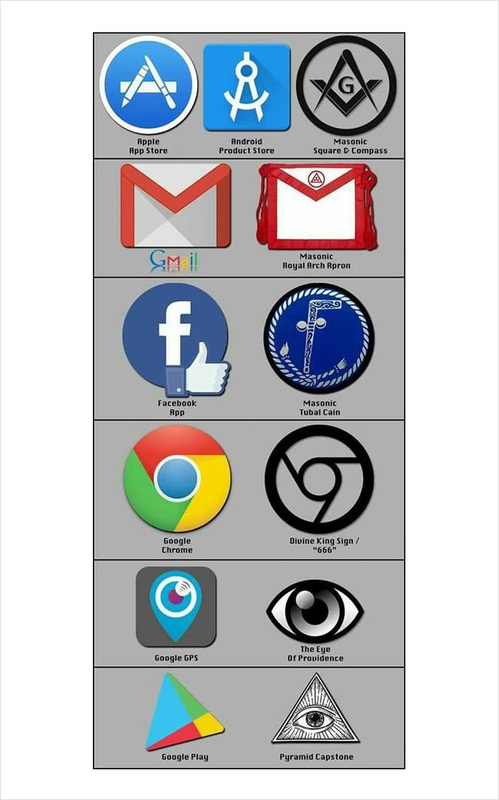 But Facebook and Gmail aren’t the only ones out there embedded in occultism and secrecy, as there are many other symbols. Let’s take a look at Android App market or Google Play Store. The Google Play’s Store icon is an arrow pointing to the right and many would agree that there’s nothing strange to see here right? We just see the well-known playback button (Play). However, take a look more closely and you will notice a curious pattern embedded within the symbol itself. The problem with comparing such symbols is that we need to have something to compare them to, and most people are unaware of the numerous ancient symbols that exist around the globe. If we compare the Google Play Store logo with the above image we see an undeniable similarity. In the below Giph image, we see on the left side the Google Play icon, and on the right side the Sigil of Lucifer, also known as the “Seal of Satan,” a symbol used mostly by Satanists. The image dates from the sixteenth century, according to the Grimorium Verum, an 18th-century grimoire attributed to one “Alibeck the Egyptian” of Memphis, who purportedly wrote in 1517. Like many grimoires, it claims a tradition originating with King Solomon. that explains how pacts with spirits are carried out, it also details the great diversity of magic formulas and the role played by stamps. And despite the fact that we looked at two symbols belonging to Google, which may be connected to more occult meanings, there is another third symbol which we explore. One of the most famous internet browsers on Earth is without a doubt Chrome, made by Google. As I am writing this, I am using Chrome. According to dat from 2016, Google Chrome is being used by around 2 Billion people. And while there are many who would disagree with the following similarity, we decided to mention it nonetheless. This comparison could also be a “999”. 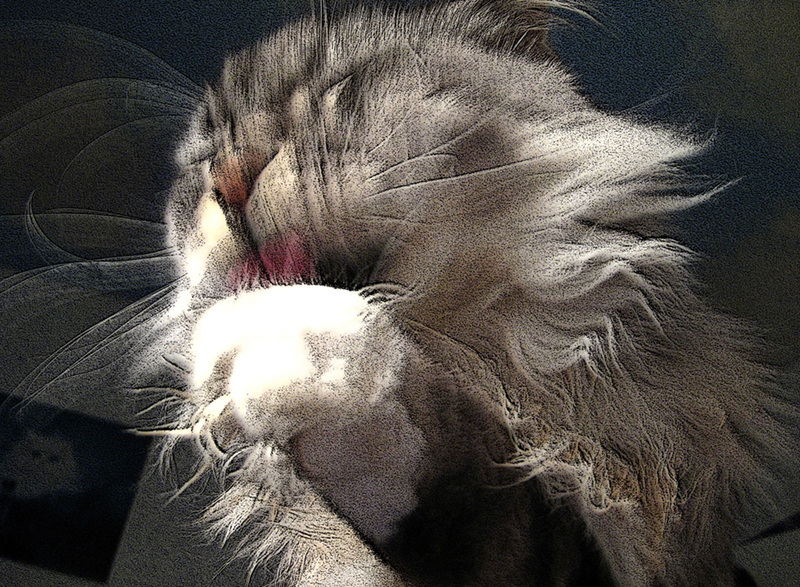 Check out more about 999 here. Although if we consider the above logos and their curious meaning, it becomes easier to make a connection between chrome, and the numbers 666. The numbers 666 is also referred to as the number of the beast. 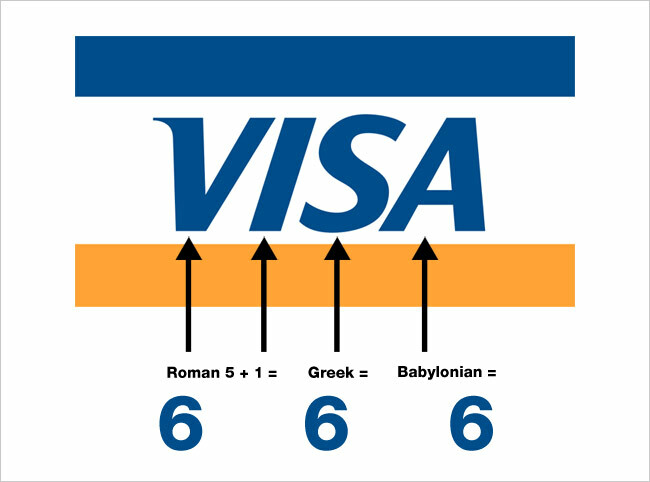 The Number of the Beast is a term in the Book of Revelation, of the New Testament, that is associated with the Beast of Revelation in chapter 13.